The Phillies search for a manager is nearly four weeks old, but it could be coming to an end sooner rather than later. According to a report from USA TODAY’s Bob Nightengale, the new manager could be a familiar name: Dusty Wathan. Nightengale tweeted Wednesday morning that the Phillies were “zeroing in” on Wathan to become their next manager. 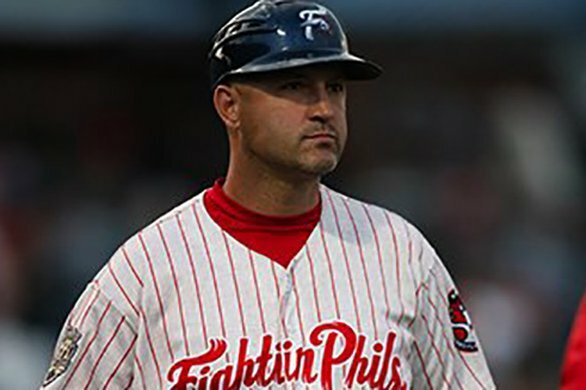 The 44-year-old Wathan spent the 2017 season as the manager at Triple-A Lehigh Valley. Prior to that, Wathan spent five seasons as the manager at Double-A Reading where he became the long-time Phillies minor league franchise’s all-time winningest manager. Wathan is also the son of a former big league manager (John Wathan) and is already a popular figure in the young Phillies clubhouse. Rhys Hoskins, Nick Williams, and J.P. Crawford, who all made their big league debuts this summer, all credited Wathan for their rise through Reading to Lehigh to the big leagues in the last two years. Wathan was one of three internal candidates, along with Jorge Velandia (special assistant to general manager Matt Klentak) and Juan Samuel (third base coach) to interview for the job. Both could find a way onto the 2018 managerial staff, ditto hitting coach Matt Stairs. Among the external candidates to interview for the vacant manager's job were former Indians pitching coach Mickey Callaway (named the Mets manager this week) and Dodgers player development director Gabe Kapler.